Beautiful Bizarre Magazine is packed full of insightful and inspiring articles and interviews with the best leading and emerging visual artists from around the world, studio visits, intimate conversations between artists about life, love, family, overcoming challenges and art, highlights on some of our favourite wearable art brands, prominent Gallerists share their personal collection wishlists, our Instagram community feature and much more! 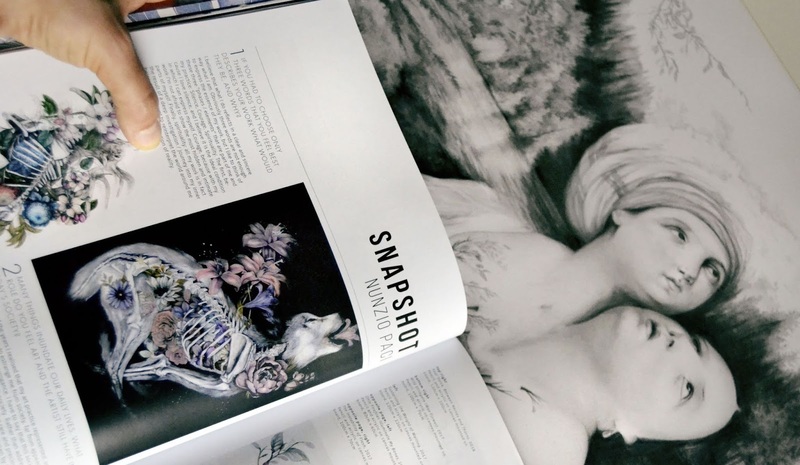 Beautiful Bizarre Magazine is perfect for anyone who is interested in visual and wearable art. Keep in touch with the latest updates, news, upcoming events, prints releases and new contents from my website!